Mon- Sun: 6AM - 10PM. 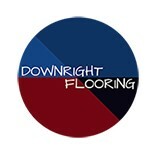 At Downright Flooring, we are your local flooring contractor to help you with all of your flooring needs. Whether you are remodeling and need new carpet or laminate flooring, we can assist you with everything from A to Z. For all of your flooring needs, get in touch with us today. We look forward to assisting you.